The royal family is known for keeping traditions throughout their generations. It seems every event they plan includes some sort of tradition that’s been passed down. For example, the newest member of the royal family, Prince Louis of Cambridge, attended his christening in some traditional attire you may recognize. The christening, also a tradition, took place at St. James’ Chapel Royal on July 9. The youngest prince was dressed in the very same gown his older siblings wore for their baptisms. The tradition of this Honiton gown dates all the way back to the reign of the beloved Queen Victoria. But the prince’s attire was not the only tradition practiced on this momentous occasion. Several others were carried out as well, including one you may least expect. 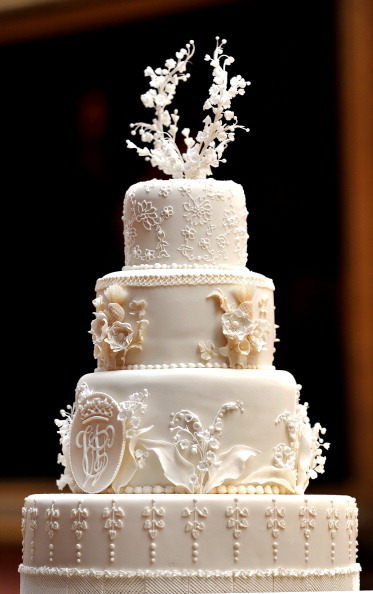 Most Americans will be familiar with the old wedding cake tradition in which couples save and freeze the top of their cake to eat together on their one-year anniversary. However, many might be surprised to hear the royal family carries a similar tradition. They don’t just save cake to mark their wedding date — they acknowledge their children’s christenings as well. Prince William and the Duchess of Cambridge are no different. Though they married in 2011, seven years ago, that didn’t stop them from serving up leftovers during Louis’s reception. Yes, that’s correct. The royals have been known to serve leftovers on more than one occasion. Prince George and Princess Charlotte were celebrated in the same fashion. This just goes to show, you don’t mess with tradition. 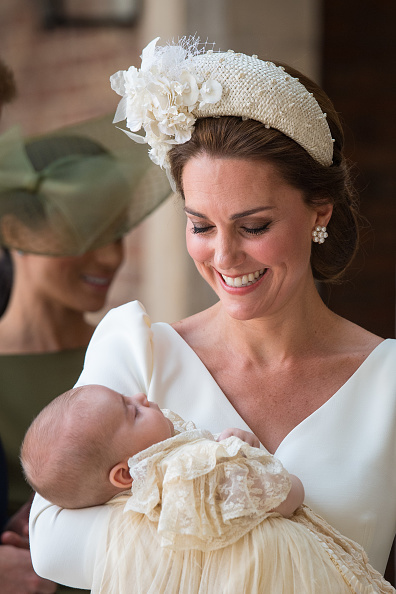 Kensington Palace also released a video from the christening on Twitter. In the video, the family can be seen arriving at St. James’ Palace. Duchess Kate is all smiles as she holds her newest son in her arms. What a special day for a very special family. Though the idea of eating a 7-year-old cake doesn’t sound particularly appealing, I’m sure they enjoyed every last bite in celebration of Prince Louis. The young prince may not be old enough to enjoy the dessert alongside his older siblings, but the occasion will still be a sweet memory for all those who are close to him.